This is it. 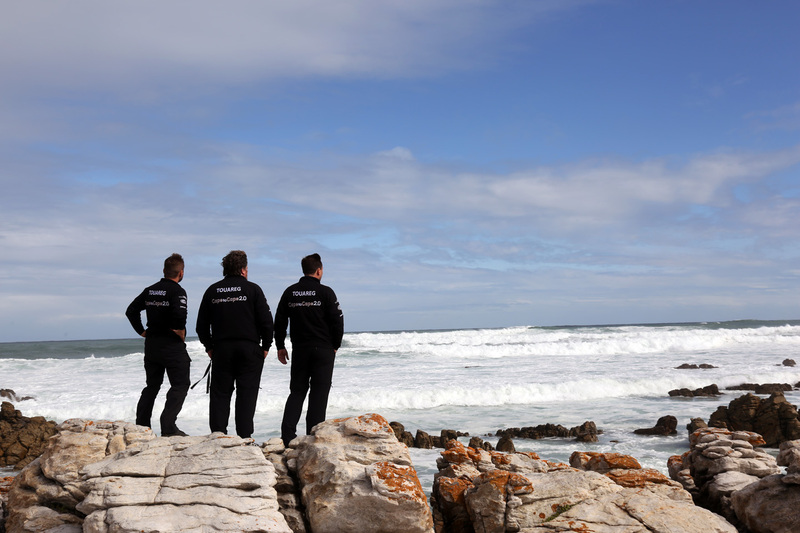 After many, many months of planning and preparation, the Touareg Cape to Cape 2.0 World Record Challenge is on the eve of departure. 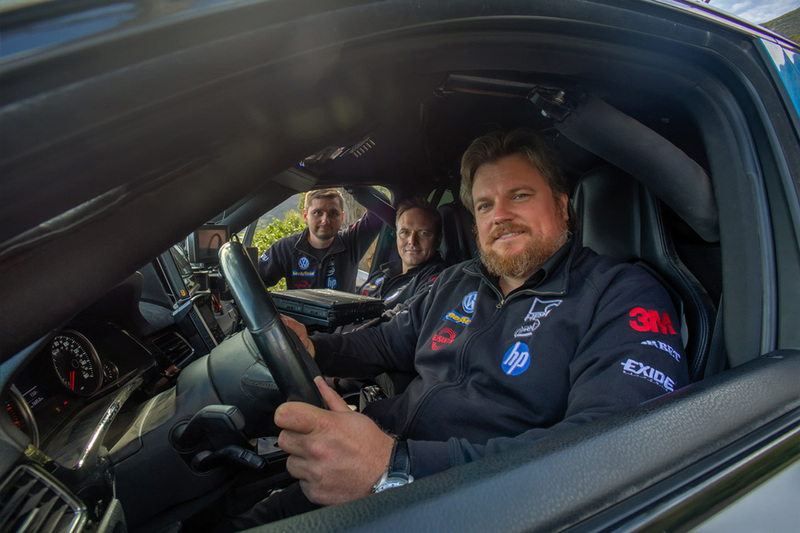 Some introductions to our team: the Challenge is headed by renowned long-distance driver and project leader Rainer Zietlow, along with experienced cameraman Marius Biela who has accompanied Rainer many times on previous long-distance challenges. I am Sam Roach, new to this sort of adventure, and I will be the one writing our twice-daily blogs to update the outside world with our progress. 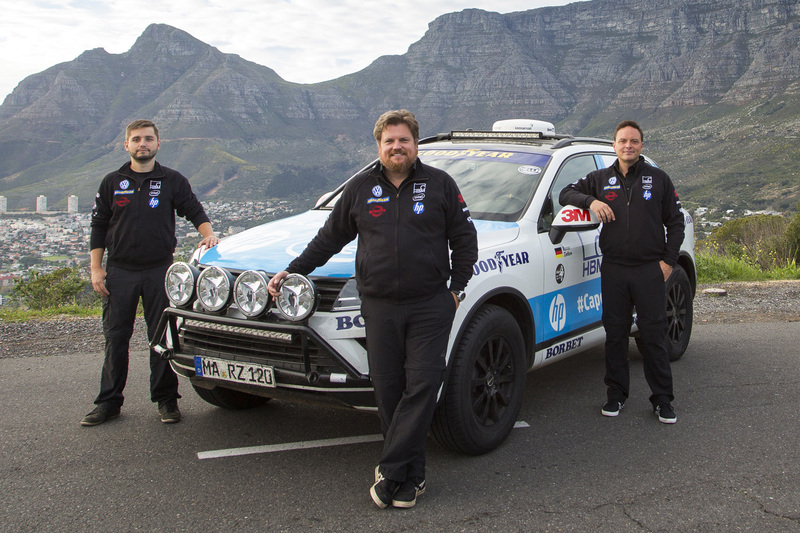 Our three-man team in the Volkswagen Bratislava factory prepared Touareg will take the official start from Cap Agulhas, the Southernmost tip of the African continent tomorrow (Friday) morning at 10:00. That moment will be the start of an astonishing challenge: to drive non-stop overland through to the very Northernmost tip of Norway, Nordkapp. If we can hit our objective of travelling the 19,000km (12,000 miles) through 19 countries within ten days, a new World Record will be established. The record currently stands from Rainer and Marius's attempt in 2014, at 21 days. 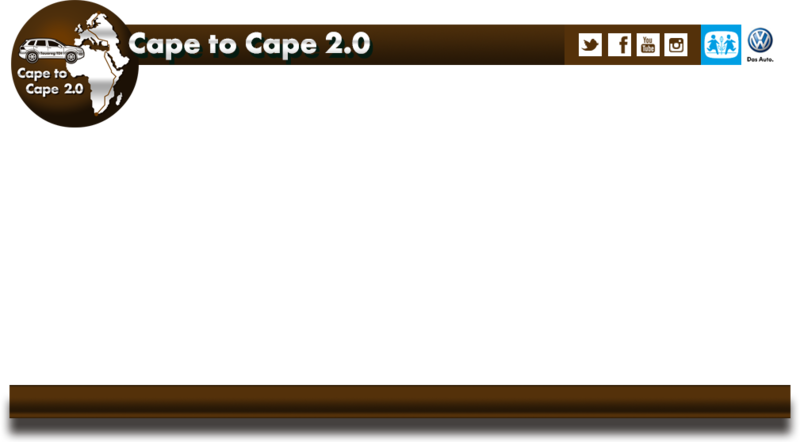 As part of the Cape to Cape challenge, we have donating money for the SOS Childrens Village charity, with Rainer making a visit in Johannesburg to present the donation before we depart. Our route will take us through an incredibly challenging variety of both road conditions and political conditions, as we pass through Africa, around the edges of the Middle East before crossing into the more familiar surroundings for us of central Europe. A final passage through the emptier roads of Northern Scandinavia will complete the challenge. The timescales we must hit to achieve the World Record are demanding: we need to drive 24 hours a day for the next ten days, with the only stops being for refuelling and for the many border crossings. Every five hours, we will swap between the tasks of driving, navigating and taking some much-needed rest. The standard Touareg V6 TDI has some limited adaptations for the challenges we will face on our journey. 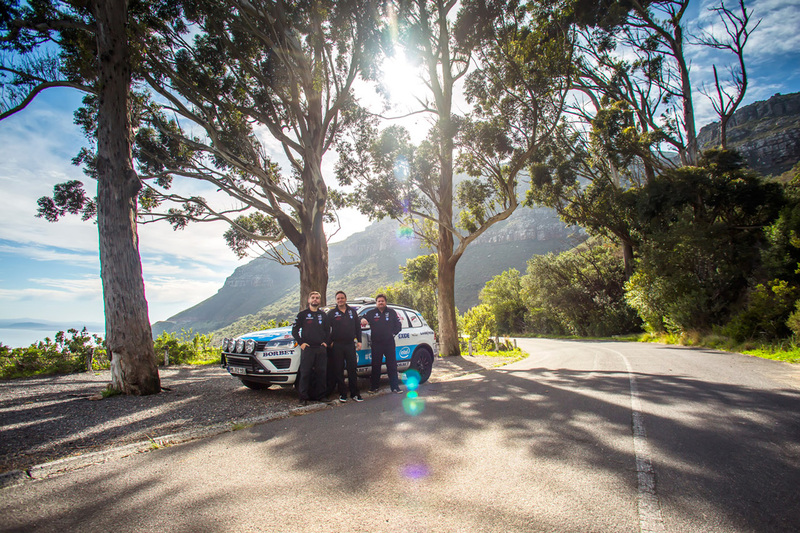 Whilst all the mechanical aspects of the Touareg's engine, brakes and gearbox remain completely standard, there are some upgrades to the suspension, tyres and underbody protection, together with a full internal roll-cage to cope with every situation that the road can throw at us. Giant auxiliary fuel tanks fill the boot area, allowing us up to 2,500km between fuel stops, whilst the on-board communications devices will keep us in touch with the outside world via advanced phone, satellite and GPS connections. 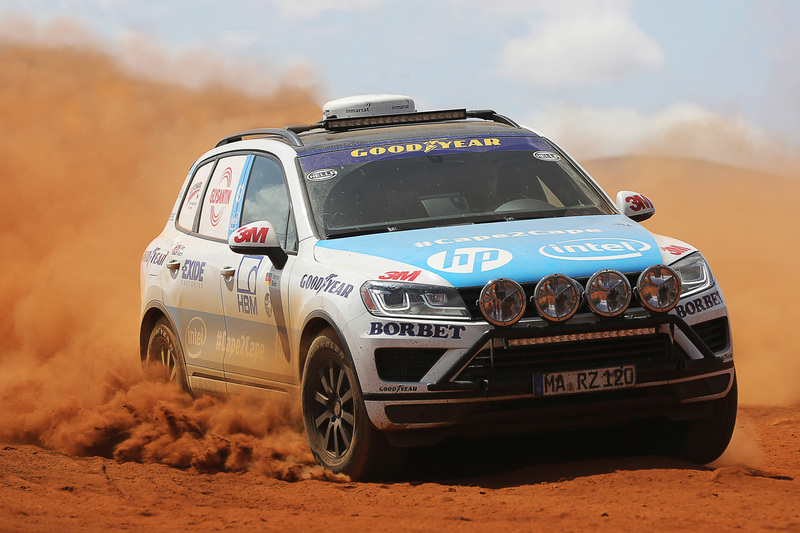 The Touareg will also become a rolling innovation centre along with our main partners at HP and Intel once we depart; with mechanical sensors placed around the Touareg, and biometric sensors attached to Marius and myself transmitting non-stop, there will be constant transfer of both car and team performance data throughout the adventure, with the in-depth analysis being carried out remotely. 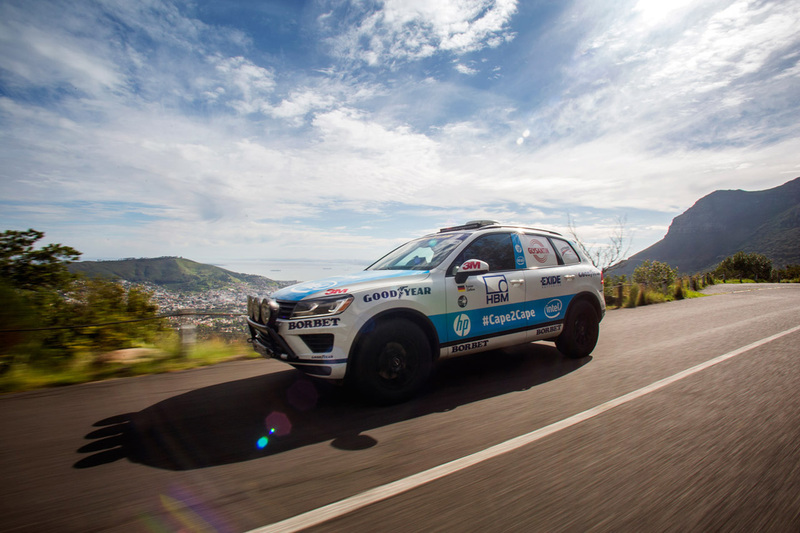 As team blogger and driver, I (Sam Roach) look forward to keeping you updated with our progress, our experiences, our emotions and our challenges, along with the latest photography from the Touareg Cape to Cape 2.0 challenge over the next ten days. Don't forget that you can follow our progress up to the minute via website's live GPS tracking service, and see all of our latest photography and video.